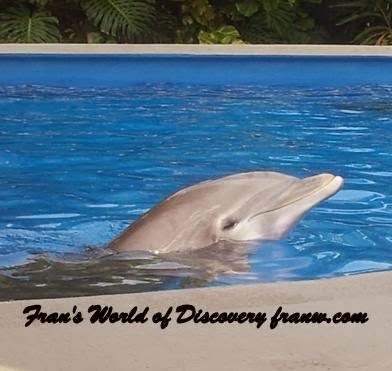 Dolphin Photo by Fran W.
This site offers The Ultimate Guide to Dolphins a series of 9 videos that talk about echolocation, strandings, cousins and more. Animals: About offers a series of facts about dolphin anatomy and family info. Find out where dolphins can be found, listen to dolphin sounds, and get quick facts such as weight, size and life span. Short list of dolphin facts. Sea World offers general and environmental information about dolphins. It also offers an Info-Book Index filled with lots of information about dolphins and Classroom Activities in PDF format. First-school offers printable pages, facts, crafts and an online puzzle. Homeschooling: About offers links to dolphin facts, word activities (puzzles, games, etc. ), coloring pages, dolphin themed paper and more. Scholastic has put together a dolphin information site that talks about wild and captive dolphins, and offers a Teacher’s Guide. This site also offers information about Winter, the dolphin with the prosthetic tail, from the movie, Winter’s Tale. Winter lives at the Clearwater Marine Aquarium, located in Clearwater, FL. Watch Winter & Hope’s Cam. Check this Winter/Hope Cam too. The Homeschool Movie Club offers a curriculum about dolphins. 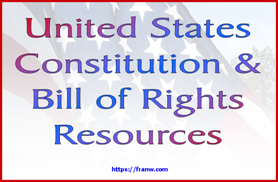 You will need to register to download the pdf files and movies. Learn how dolphins help the Navy. Wikipedia offers information about dolphins and includes a list of dolphins that can be learned about. The Guardian: Pink Dolphin – Article: Rare pink bottlenose dolphin surfaces in Louisiana lake. If you have a dolphin resource you would like to share, please leave me a comment with the link. The Dolphin Research Center offers labeled pictures of the inside and outside of a dolphin. Dolphin Anatomy – Label Me! Enchanted Learning offers a printable dolphin that can be labeled. Outside view only. This site offers an interactive view of the inside and outside of a dolphin. Move the viewing circle to the parts you want to look at, and the name of the area being viewed can be found under the dolphin. Texas Marine Mammal Stranding Network offers various labeled pictures of a dolphin including: The outside, the organs and the skeletal structure. It also provides close up pictures of the bones of the fins in comparison to the human structure and other informative pictures. Ocean Today offers a 3:00 minute video about dolphin anatomy. Narrated. Offer a webcam from 9:00am – 4:30pm daily. Click on the button “Web Cams” located in the menu to the left. Ustream tv offers a Winter/Hope Cam and archived videos of Winter, her adoptive mother, Panama and Hope. We just did the Dolphin Tale 2 curriculum this past week & it was so much fun. These are great resources, as usual. 😉 Thanks for linking p at the Geeky Educational Link Up! Hey Jess, I'm so happy to hear you enjoyed the resources! We enjoy learning about dolphins too. Thanks for visiting! I just reviewed the Dolphin Tale 2 movie, and am giving away a prize pack on my blog. 🙂 Thanks for collecting all these great resources! I bet my kids will love them.